Our Trusted List of the Best Things to Do in Brasov, Romania. 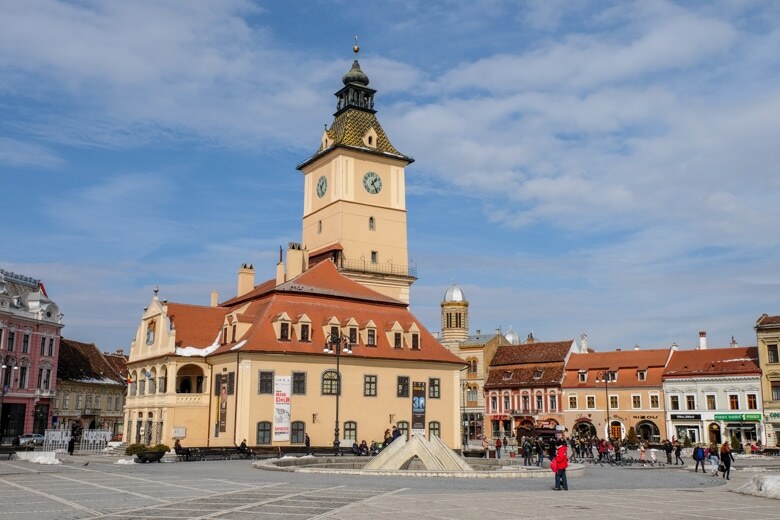 Brasov is a dynamic city – with so many competing historical influences all in one place. It makes determining what to do in Brasov quite the challenge if you’re new to the city and to Romania, in general! We’ve thrived during the harsh Brasov winter months and had a few great waddles around the city. 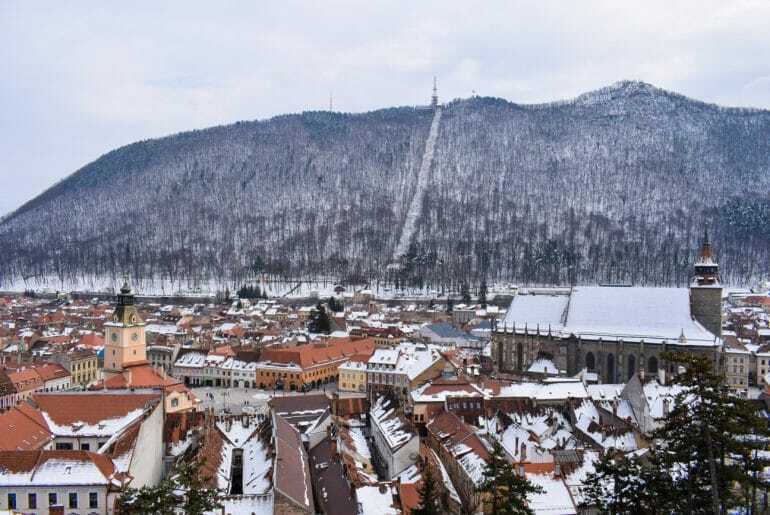 There is a reason Brasov is one of our favourite European cities to visit in winter! Full disclosure: We stayed outside of the old town and so we have a slightly different perspective than individuals who have only stayed in medieval Brasov! 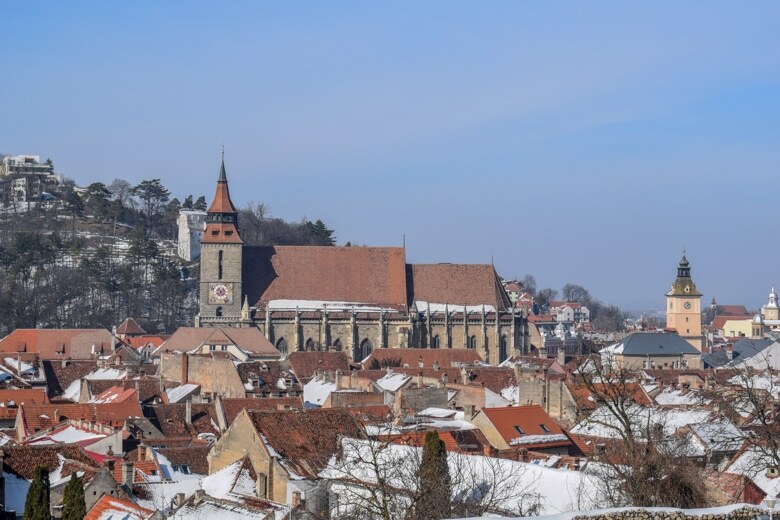 While most of the main attractions ARE located in the old town, which is considered the city centre of Brasov, there are things to do that are located around the mountainous region. 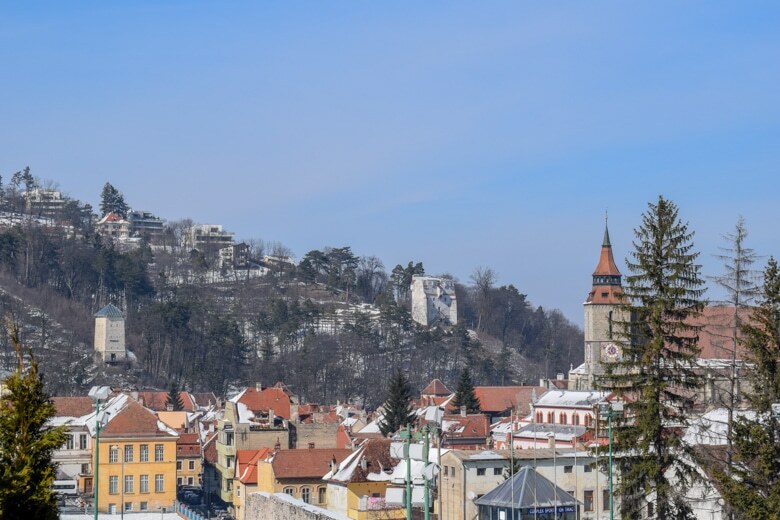 In this post, we won’t really cover things like the Brasov nightlife – but more of the points of interest in Brasov like attractions and sights! There’s a ton of history to learn, so here’s to learning about the place before or during your visit. 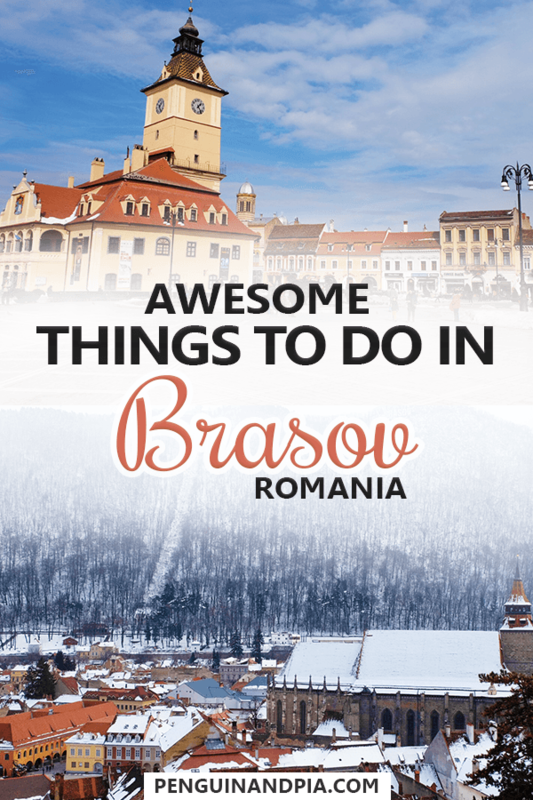 Here’s a list of some of the best and the most unusual things to do in Brasov! Oh, and there are pretty photos to look at. Let’s explore Brasov! If you want to see what we got up to in Brasov, watch the video snippet below. You can also watch the whole video on our YouTube Channel here if you want. Planning a Day Trip from Brasov? Here are 8 of the Best Day Trips You Can Go On! Since there is just so much to see and there’s a unique story behind lots of the buildings, it’s not a bad idea to learn about them from an expert. For this, you can take the free walking tour. We had heard about the tour before and on TripAdvisor it’s a well-ranked thing to do in Brasov. The knowledgeable guide takes you around the old town and shows you the points of interest. The tour leaves every day at 3 pm from the fountain in the Council Square (Piața Sfatului) in the Old Town. To learn more about the tour, you can visit the official website here. The entrance to the Brasov Citadel. Located just outside the walls of the old town, the Citadel sits high atop its hill – “Citadel Hill” – and offers visitors spectacular views of the surrounding city. The citadel was one of the very important defensive points for Brasov that wasn’t inside the old town. Built originally in the 15th century, it wasn’t officially finished for almost a century because of damage by an attack, changes to the structure, and additions like stone walls and four bastions at the corners. The citadel was more or less abandoned from service in the 17th century because – and this is true – cannons technology got too powerful for the walls of the citadel. It was used for storage, as barracks for soldiers, and until recently, a prison! After extensive restoration, it was opened as a tourist complex and a restaurant. Here’s the deal: we aren’t sure if it’s open or not. When we were up there, it appeared to be closed. There’s no official website to check, but the recent reviews on TripAdvisor state that while it’s closed, if you’re there at the right time a security guard might let you in for a quick visit. The views from up there are good enough – on one side of the hill you see a classic European old town, and on the other side you see a great example of Communist-era development in the “new city”. You can walk up following the road, or there are a few paths that cut up around the hill between buildings. However you get there – you can always try your luck with the Citadel when you visit! The Black Tower (left), the White Tower (middle), and the Black Church (right). As you’ll learn on the walking tour or from the numerous signboards around the Old Town, the entire medieval town was built in fortification back in the 15th century. As a result, there are a few defensive towers, lookout points, walls, bastions, and other fortification pieces that remain to this day for you to explore. Of note are the Black and the White Towers. The White Tower (Turnul Alb) was built between 1460 and 1494 and served as the highest point of fortification in Brasov. Inside, there are five levels that topped off with classic battlements for soldiers to use during defense. Having been destroyed by fire in 1689, the tower wasn’t renovated until 1723. These days there’s a small museum inside – and you can find it connected to the Graft Bastion (mentioned further down in this post). We hiked up and the views of the Old Town are just amazing. The Black Tower (Turnul Negru), built in the 15th century, was intended as a lookout tower that was one of four towers built independent (outside) of the town defensive walls. The tower stands at 11 metres tall up on Warthe Hill. The original roof was struck and destroyed by lightning in 1559 and destroyed again by fire in 1689. The walls got blackened in the fire – and the name that it has today was born. You’ll also find a small museum inside the tower. When the first Jewish families settled in Brasov in the early 19th century, they needed a place of worship. The Neolog Synagogue became that place. Built between 1899 and 1901, the Synagogue is built in a neo-Gothic style with Moorish characteristics. In short, it’s really beautiful and you should check it out if you’re wandering over on Poarta Schei Street! 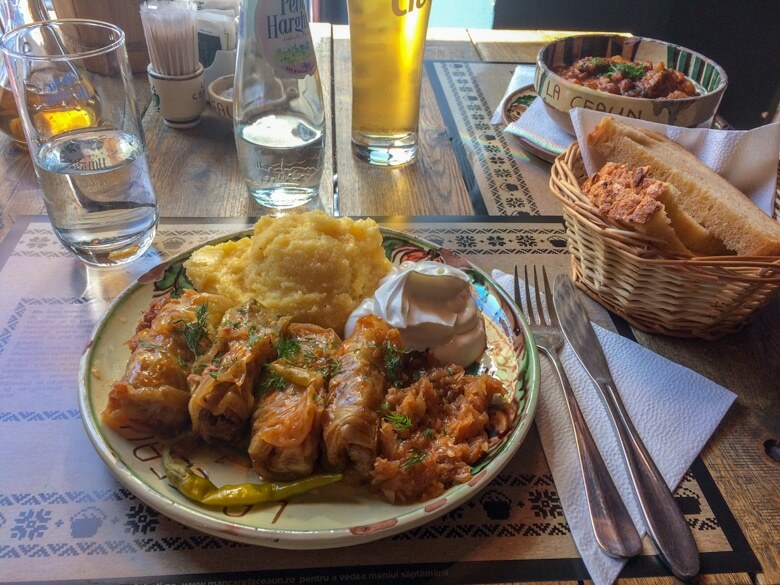 Traditional cabbage rolls and a bowl of beef goulash with bread – absolutely delicious! While there are lots of great places to eat in Brasov, we ventured more towards the places that offered a traditional menu. We’d highly recommend trying out La Ceaun. There are two locations in Brasov – one is located on Michael Weiss Street and the other is located quite close by on the Main Square. We popped into the one of Michael Weiss for lunch. The place is small but we were lucky enough to get a table by the window looking out at the shops and cobblestone street. Eric, being part Hungarian and Ukrainian – is well-versed in both cabbage rolls and Hungarian goulash. This meal did NOT disappoint the Eastern European blood he has running through his veins! It’s pretty obvious that Brasov is situated at the base of a very large mountain. Mount Tampa – the one with the “Hollywood-style” Brasov sign offers visitors spectacular views of the city. Built back in 1971, a trip takes only 2 and a half minutes to the top. You can buy a return ticket for 17 lei (adult ticket). To avoid disappointment, it’s important to note that the cable car is closed on Mondays (we have first-hand experience with this). Here’s TripAdvisor to read about the details and the reviews of other visitors. If you’re keen on more exercise, you can also hike up to the top of Mount Tampa. Many of the hiking trails begin at what seems like the edge of the old town. There are a variety of paths – each of varying lengths and difficulties that can take anywhere from one hour to more. There are legitimate caution signs in a variety of languages stating that you are entering a wildlife area and that you should be aware of the following animals: lynx, brown bears, boar, and many more. So, you actually have to have the emergency numbers (local authorities and wildlife authorities) on hand. The famous Black Church standing proudly in the Old Town. The Black Church, or “Biserica Neagra”, is one of the most famous and recognizable churches in all of Romania. Built in the 15th century, this mammoth building sticks out among the smaller red rooftops of the medieval old town. The Black Church is the largest Gothic church between Istanbul and Vienna – which, admittedly, is a pretty big stretch of land and culture. Way to go, Romania! So, why the name? Well, the Great Fire of April 21st, 1689 (we’ll mention it again) basically flattened the entire old town. The church itself lost its roof and interior furniture in the blaze. Since the stone walls were badly scorched in the fire, the church got its name! Fun Facts: only one of the two towers that was originally planned was ever built, and the church has one of the largest functional organs in southeast Europe as well as one of the largest bells weighing in at 7 tonnes! Today, visitors can go inside for a small fee and take photographs for a bit more. You can read more about the church here. This beautiful church is technically located in Schei – the area just outside the fortified old town. Construction began on the current church in 1495. This Orthodox Church (and the Romanian School built very close by within the grounds – mentioned below) became an important place of spiritual and cultural importance for Romanians. The version of the church from 1495 was originally built in Gothic-style but changes in the 18th century resulted in its more Baroque appearance. You can read more about visiting the church here. 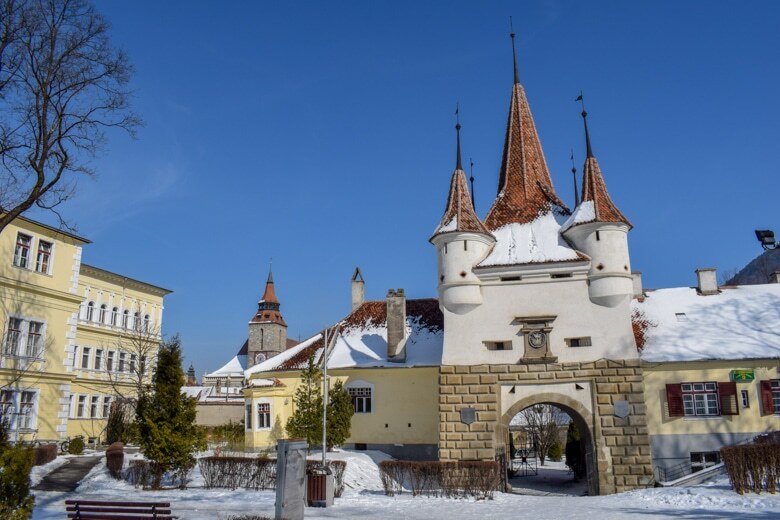 Since the Romanian inhabitants of Schei, the community located just up the hill from fortified Brasov, weren’t allowed to own property in the medieval walls, a special gate was built to allow entrance at certain times only and for a fee. Once inside, Schei people were allowed to trade and sell to the inhabitants of the inner area. The original gate and the tower were damaged in the Great Fire of 1689. The gate became obsolete in 1827 and the old gate (minus the tower) was demolished. A year later, the present Schei Gate (which you can find literally right beside this one) was built. Both are very pleasant to photograph and you can even walk through both of them. The narrowness of Rope Street needs to be experienced! 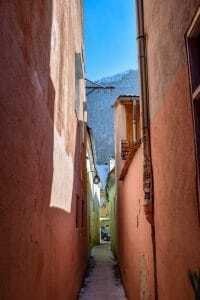 Also known as “Strada Sforii”, Rope Street is the narrowest street in town and one of the narrowest streets in all of Europe. 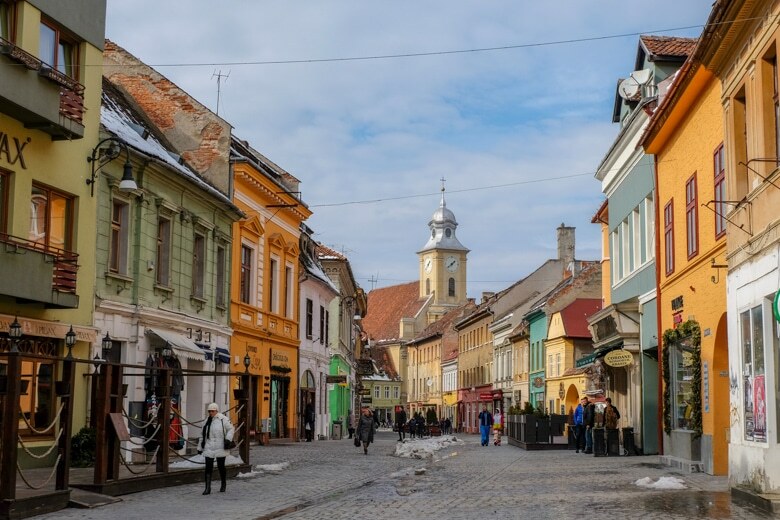 Measuring only 1.32 metres wide but stretching on for over 83 metres, it was originally intended to link Portii and Cerbului streets as a necessary passageway for firemen in medieval Brasov! We had a walk down and yup, it’s a tight squeeze! 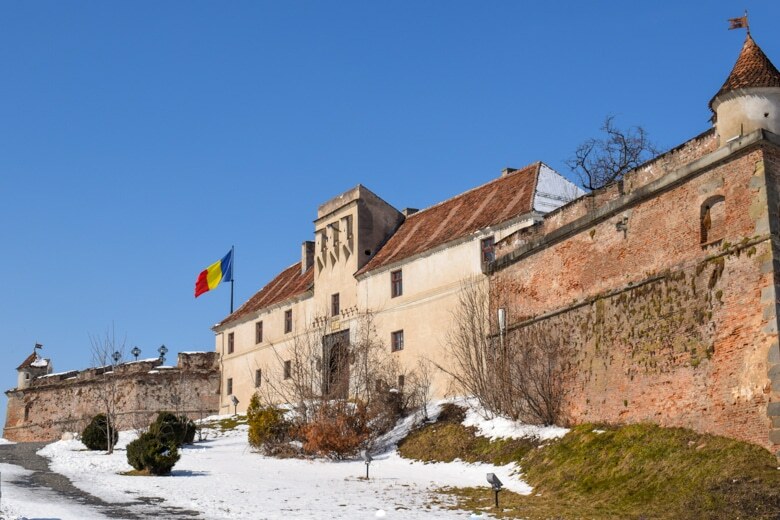 Dating back to the 17th century, the First Romanian School Museum is a very important piece of Romanian history. The first Romanian language courses were given here back in 1583. As mentioned above, the School is situated in the grounds of Saint Nicholas Church. Today, the school is a museum displaying, among other things, the first textbooks printed in the Romanian language from the 16th century, as well as the history of the Scheii Brasovului district and the nearby church. The present building is actually from 1760, when the school was renovated. To learn more about visiting this historic site, you can visit the official website. Graft Bastion connecting the old wall with the White Tower up the hill. 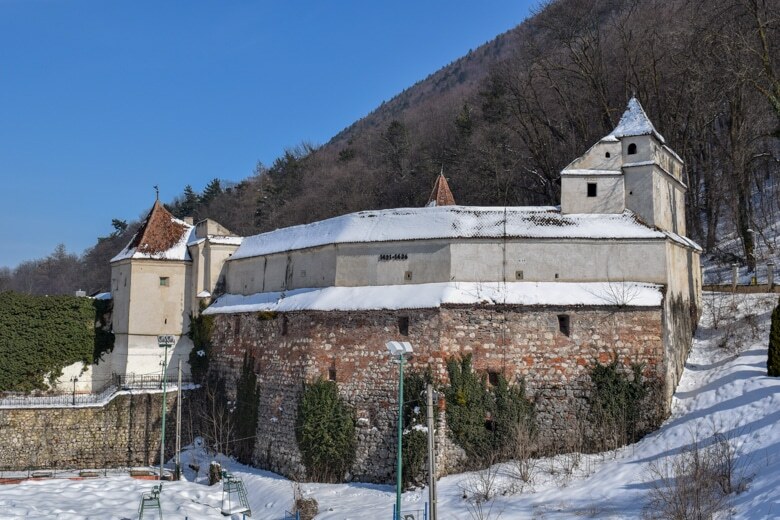 We’ve mentioned above that medieval Brasov was fortified by a large wall that surrounded the perimeter. What’s great about this is that there is also a nice walking path that surrounds the wall – and you can see many of the sights in this article by simply getting some exercise! In one area, you’ll find both the Black and the White Towers along with the Graft Bastion (shown above in the photograph)- and on the opposite side of the old town, you’ll find structures like the Weavers’ Bastion and the cable car up to Tampa. It’s a great way to get around and to avoid the hustle and bustle of the old town. It’s a very peaceful walk all the way around! Right on the main old town square (which you’ll read about below), the museum does a wonderful job of highlighting the changes of Transylvanian towns and cities between the 16th and 19th century. The building itself was rebuilt in 1566 and today the interior is decorated with the same wall paintings that were classic of the Transylvanian Renaissance period. To learn more about the museum and to read others’ opinions, check out TripAdvisor for the Museum. Situated in the heart of medieval Brasov, the Council House is home to houses the Country History Museum. It was originally built as a watchtower – the construction on the actual building for the town council was decided upon in 1420! The structure has been renovated and redone a few times because of fires and attacks on the structure. The Baroque roof was replaced with the current one which is done in coloured tiles. Great for photographs – and you can actually go inside for a small fee. As for the main square itself, the Piața Sfatului is a beautiful open-air space with lots of shops, cafes, a large fountain, and many, many pigeons. It generally served as our main staging area to access other places in the Old Town like the Black Church or the cable car up Tampa. Even in the winter, the cafes have their tables and chairs out in the sunshine and people were genuinely having coffee and catching up in the February sunshine. This is also the place where you’d meet the guide for the free walking tour. If skiing is your thing, then head to Poiana Brasov for some of the best skiing around. The area itself has been known to be great for hiking and winter sports for a long time – it was first mentioned in historical documents in 1427! The first official skiing competition was held there in 1906, and Poiana hasn’t looked back since. Although Poiana is tucked away in the Carpathian Mountains, it’s easy to get to from Brasov or other main cities. The resort today is known as one of the best natural resorts in Eastern Europe, and has accommodation, equipment rentals, and more for visitors! Learn more about the fees for passes at Poiana on their website. If you’re heading to Poiana, be sure to check availability and book a stay at the Apartment Mountain or the Teleferic Grand Hotel. The Weavers’ Bastion feels like you’ve gone back to the Medieval times. The Weavers’ Bastion is located at the foot of Tampa hill at the southwest corner of the fortified old town. It’s regarded as one of the best-preserved buildings of defensive architecture in medieval Brasov! Having been built between 1421 and 1432, it’s easy to see why. The base of the walls are over 4 metres thick and feature “reverse keyhole” shaped windows for bowmen, while the upper wooden decks are meant for musketeers. With watchtowers and all, it’s a very cool building to still see standing in a modern town. Oh, and it got its name because the linen weavers of the medieval times were in charge of the bastion! You can enter for 7 lei but it’s more to take photographs. If you’re looking for a little more physical activity mixed with your adventure, then perhaps pay a visit to Parc Aventura! Located outside of the Old Town and a bus ride away, this amusement park is actually a public park with high-ropes courses and zip lines for all skill levels. Admission for adults is 50 lei, and you get to spend three hours adventuring around on your own as you climb, zip, jump, and challenge your way across the obstacles. You’re given gear and a demonstration for safety before you begin! 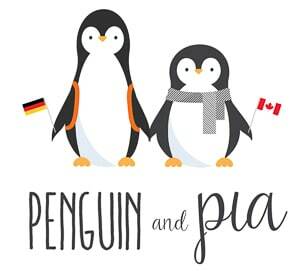 To learn more about Parc Aventura, you can visit their website. We had heard a lot about the park but they were still on winter schedule when we were in Brasov (most of February/March) so we didn’t get a chance to go. Next time we’re in Brasov we’re going! And there you have it – a semi-short list of some of the best things to see in Brasov! There are a few obvious ones in there – but we hope we opened your eyes to a few lesser known attractions or buildings as well! Brasov is a beautiful city and we’re looking forward to sharing more about it with you!